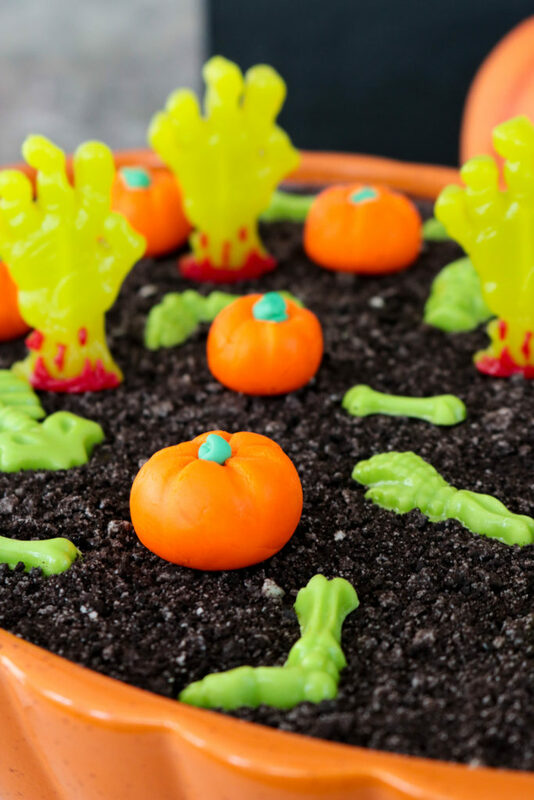 This delicious eclair dessert has a gotten a spooky twist with chocolate candy skeletons, zombie gummy hands, and homemade marshmallow pumpkins. 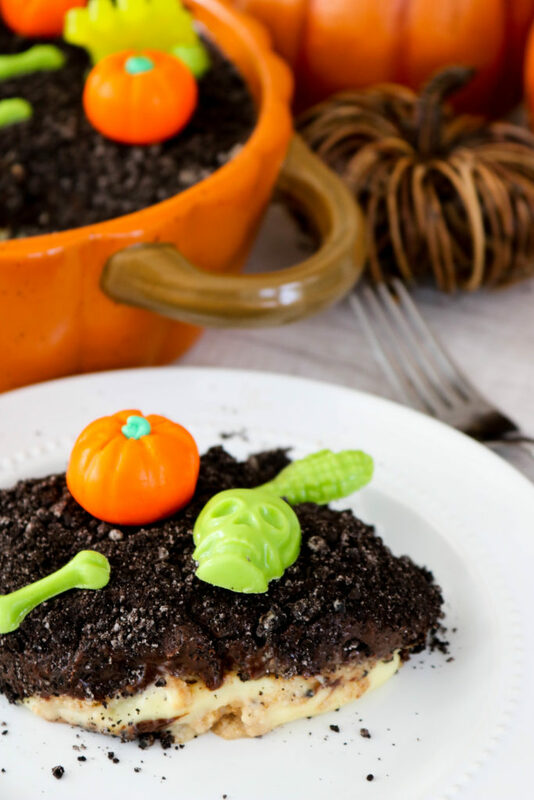 A Pumpkin Patch Graveyard Eclair Dessert is perfect for Halloween! 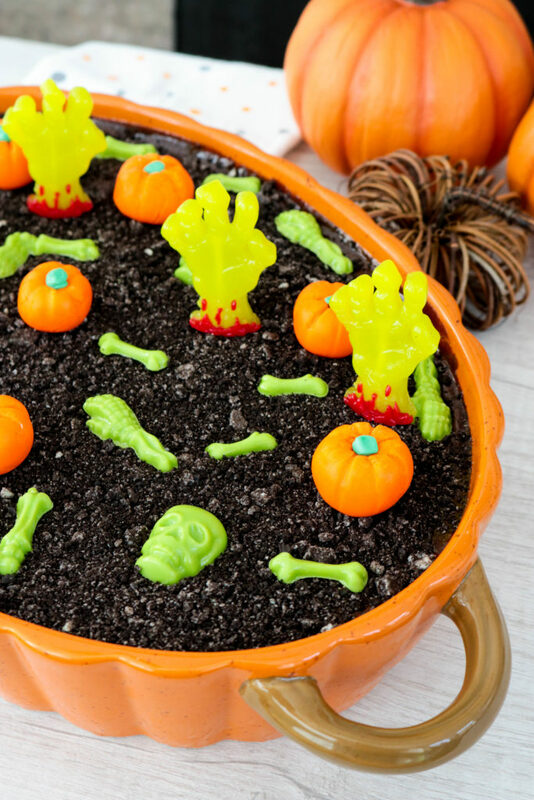 Chocolate and pudding with graham crackers and a Halloween twist? 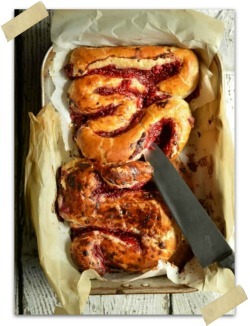 Well, that’s my kind of dessert! 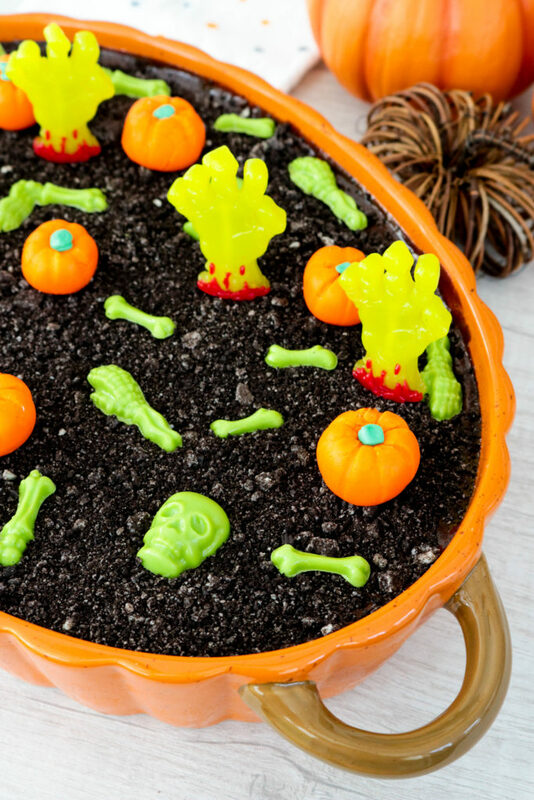 I’m crazy about chocolate eclair desserts so I knew that a Pumpkin Patch Graveyard Eclair Dessert would be perfect for #HalloweenTreatsWeek this week! You’ve been following along for #HalloweenTreatsWeek right? 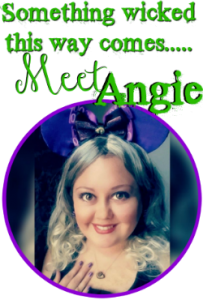 The Halloween themed week that I’m hosting this year that includes 30 bloggers sharing over 100 Halloween recipes throughout the week! Y’all, this is the BEST online event EVER! 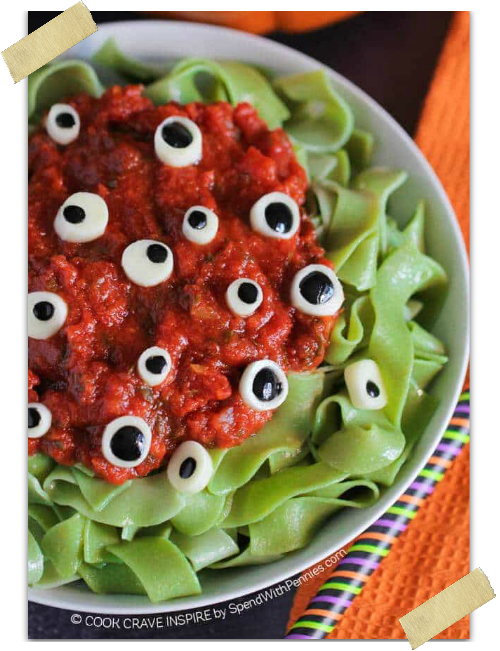 Not only are there 100 Halloween recipes being published this week but there is also a great giveaway for y’all that you can enter at the bottom of this post. 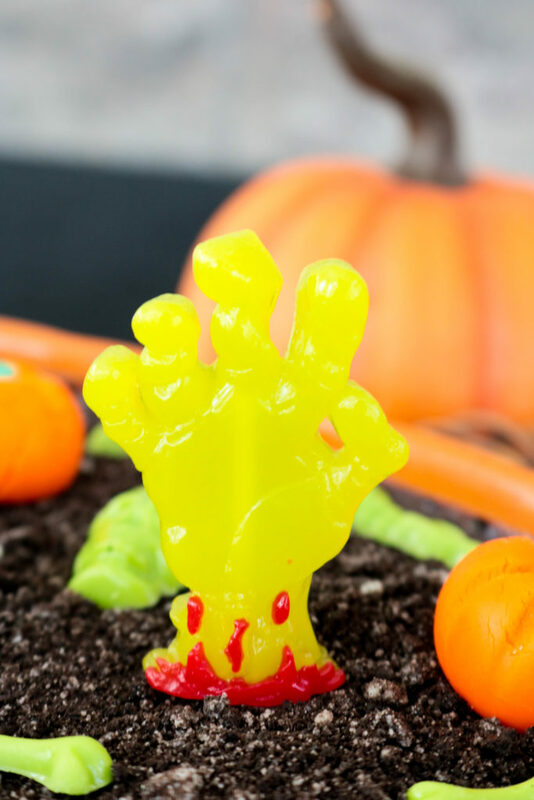 I used this Wilton skeleton mold to make little green bones and then these fun gummy zombie hands from TreatStreet USA were awesome for topping the dessert. 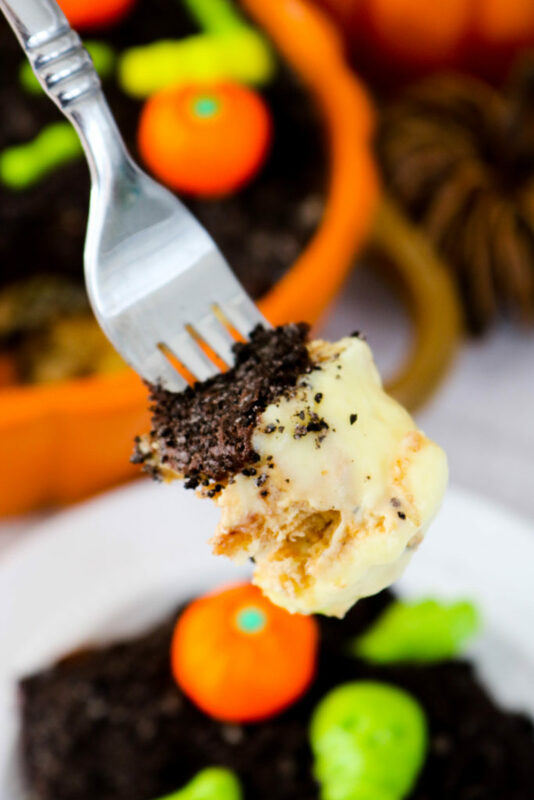 Don’t they add the perfect little Halloween flair to this Pumpkin Patch Graveyard Eclair Dessert?! They sure do! You can find both of those products at Walmart or Target! I’ve seen them there this year. 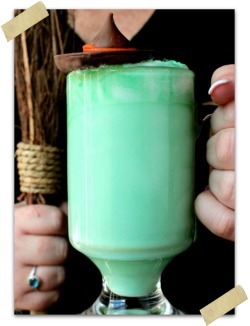 Oh and these marshmallow pumpkins? I actually made them using my favorite homemade fondant recipe. They’re so easy and I’ll have a post up within the next week to share the recipe I use to make them. 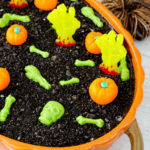 I made some of these marshmallow pumpkins for my little guy’s 1st birthday cake and I knew they would be great on this Pumpkin Patch Graveyard Eclair Dessert. 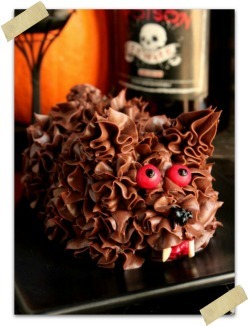 I made this same dessert to go along with his cake for his party….well without the zombie hands and bones haha. Oh my y’all, it was the first dessert to disappear. haha. I think that we had one scoop or less leftover when his party was over. That’s proof of how good this dessert is! You NEED to make it. ASAP. In a large bowl, mix together the Vanilla Instant pudding mix and cold milk. Whisk until the pudding starts to thicken! In a 9 X 13 (or whatever size) dish, lay out a row of graham crackers. Cover the graham crackers in pudding. Lay down another layer of graham crackers and cover with the pudding. Continue to layer the graham crackers and pudding until you reach the top of the dish. Finish with a graham cracker layer. Spread the chocolate frosting over the top layer of graham crackers. 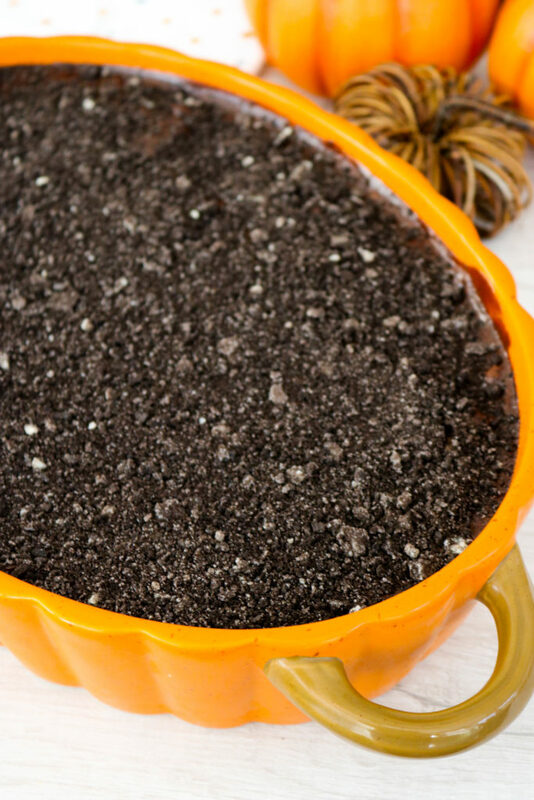 Sprinkle top with crushed cookie sandwiches to look like dirt. Top Eclair with marhsmallow pumpkins, zombie gummy hands and candy skeleltons. Melt green candy melts according to package directions. 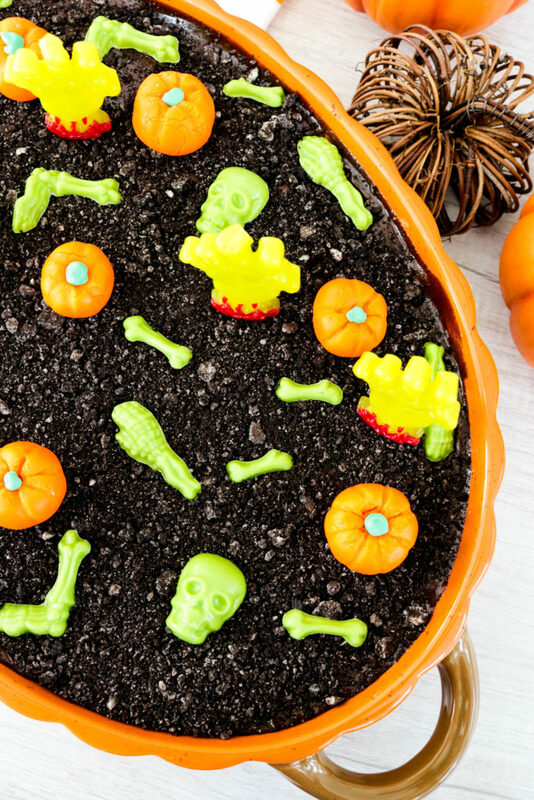 Fill skeleton mold with chocolate. Place into fridge to harden. 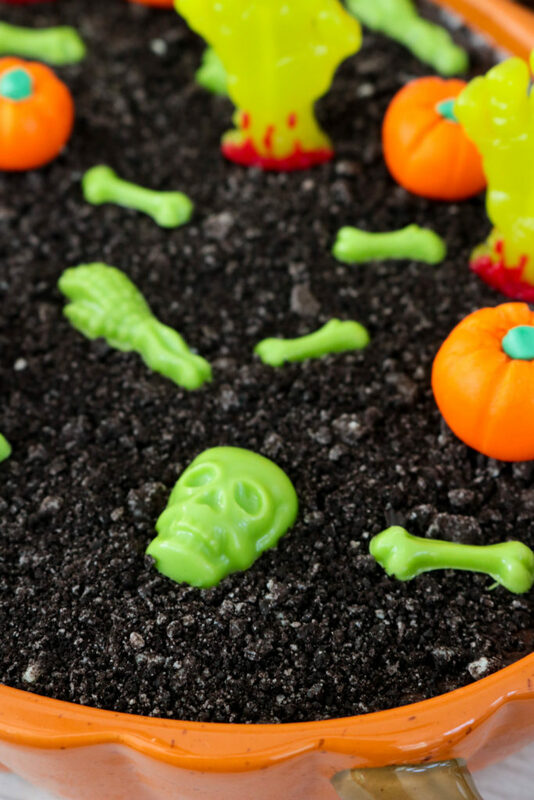 Pop out of mold and top eclair with candy skeletons.